and anti-roll bars, and four-wheel disc brakes. Within the realm of Enzo era Ferraris, variants of the legendary 250-series sports cars remain the most desirable and valuable. 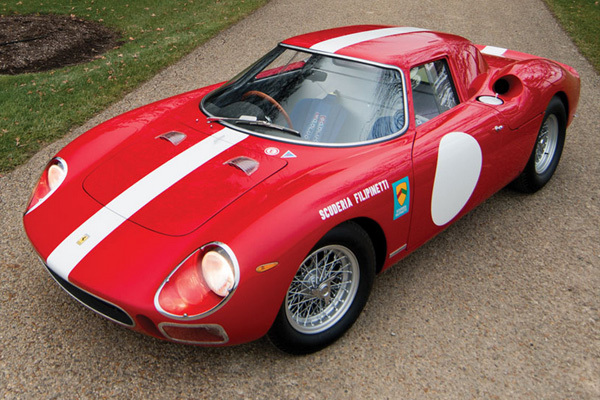 These thoroughbred Ferraris boasted an unrivaled record on race tracks throughout Europe and North America and handily swept the podiums of events, ranging from Italian hill climbs to the 12 Hours of Sebring and 24 Hours of Le Mans. Delivered new to Scuderia Filipinetti; raced by Ludovico Scarfiotti and Nino Vaccarella. Extensive racing history. Ferrari Classiche certified; matching-numbers engine. Unbroken ownership history from new, including Paul Schouwenburg, Lord Irvine Laidlaw, Federico Della Noce, and Henri-Louis Maunoir. Documented by Ferrari historian Marcel Massini.